Original period manufacture. 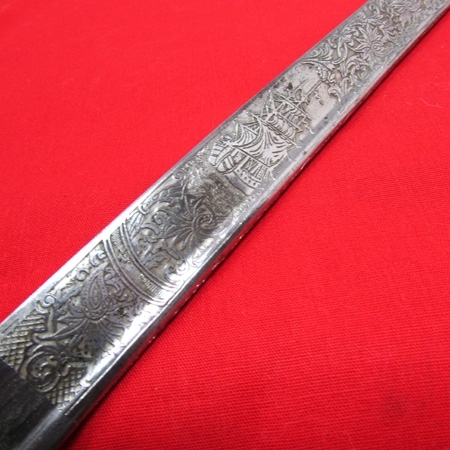 Chrome finished steel blade measuring 32 inches in length, with a very clear faux Damascus design to the surface. The blade runs straight and true, with a single bump in the edge near the point. There are a few scattered areas of age darkening and staining to the metal surface, but really quite minor. 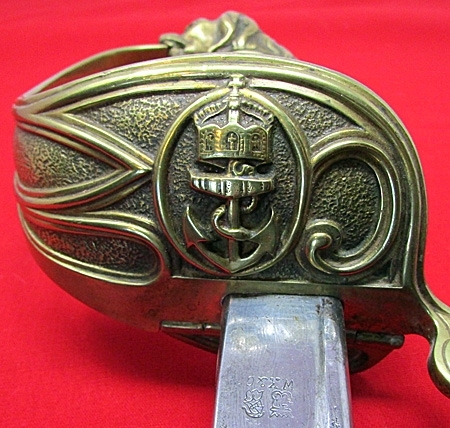 Triple etched design to the blade, with naval motif. 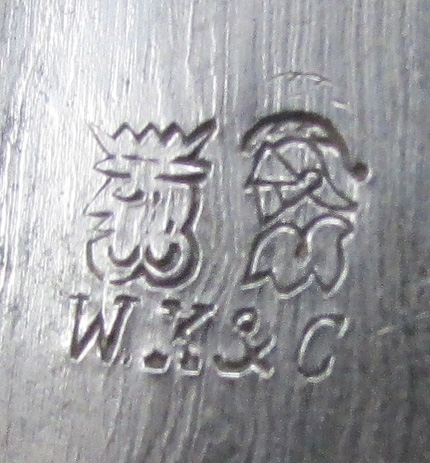 WKC trademark on the ricasso.Well made gilded brass guard with the small side being hinged and able to fold and lock into position. 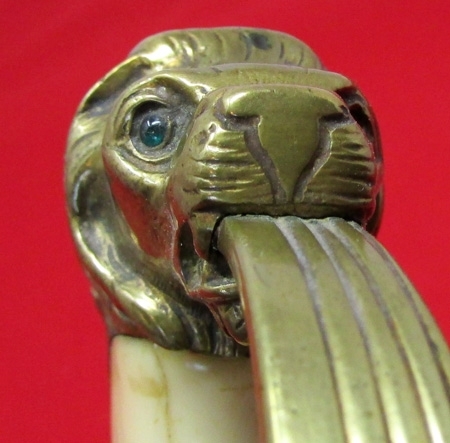 Large lionhead pommel with red & green glass eyes, and a full mane running down the backstrap to the ferrule. 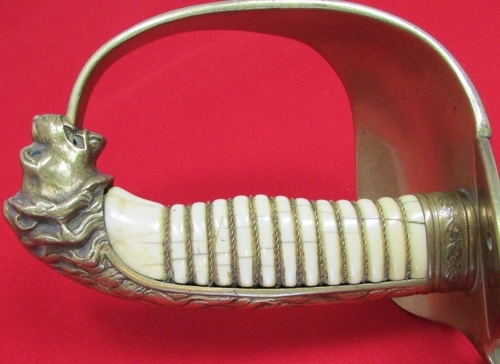 Ivory grip which is bound with a single strand of twisted wire. The ivory displays age cracking and staining but no surface loss.Black leather bodied scabbard, the surface of which has toned to brown over the years. The stitching is sound with no breaks in the body. 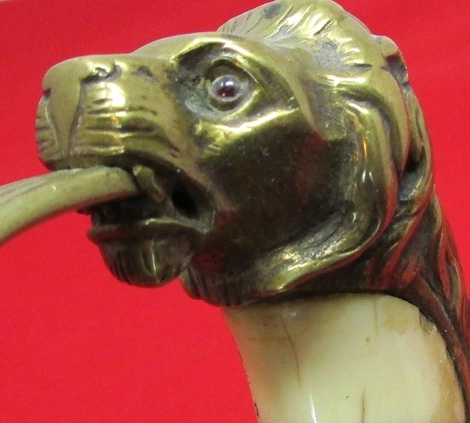 Gilded brass fittings throughout, the chape is a bit loose but does not come off the scabbard body, with some scattered denting often attributed to train, or taxi doors. A handsome old word exhibiting normal age and wear with no abuse.